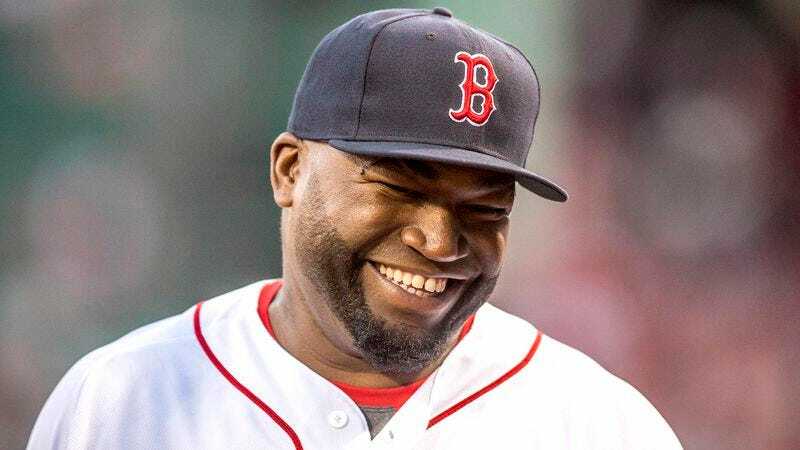 BOSTON—Having officially entered retirement after 20 seasons in Major League Baseball, former Red Sox designated hitter David Ortiz told reporters Thursday that he is excited to finally be able to eat whatever he wants. “Man, my whole career I had to stay down to between 250 and 260 pounds for the team, so it’ll be good to just let loose and go back up to my natural body weight,” said Ortiz, adding that with his playing days behind him, he no longer needs to worry about limiting himself to only two sausage pizzas and one 42-ounce party-size bag of “peanut butter N&M’s [sic]” for his usual afternoon snack. “I was starving having just a 20-egg omelet for breakfast every morning during the season, and even then it was really hard to fit into my uniform’s 46-inch waist. Now, I can eat as many lunches as I want without any of the coaches getting mad and yelling at me.” The 10-time MLB All-Star added that he also will not miss his mandatory 0.01-mile run every other Sunday.